The McGlynn Lab has emphasized opportunities to conduct international field research under the mentorship of the PI and collaborating labs. 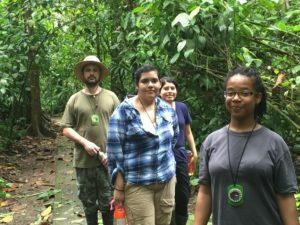 The Tropical Ecology Mentorship Program in Costa Rica brings undergraduates from CSU Dominguez Hills to conduct field research at La Selva Biological Station. This project is currently supported by the Louis Stokes Alliance for Minority Participation (NSF HRD-1302873), and CSU Dominguez Hills students have conducted fieldwork in Costa Rica under the support of prior NSF awards (OISE-1130156, OISE-0854259, OISE-0749047, OISE-0526551, EAR-0421178. 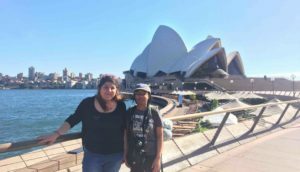 Field Research in Australia’s Northern Territory is conducted at the CSIRO Tropical Ecosystems Research Centre in Darwin, under the support of the National Science Foundation (OISE-1261015) and the National Geographic Society. Twelve CSUDH students have conducted research on fire, climate change, invasive species, and ant ecology for a six-month duration between 2013 and 2017.